Abstract : We present paper substrates, interactive paper components that support the creation and manipulation of complex musical data. Substrates take different forms, from whole pages to movable strips, and contain or control typed data representations. We conducted participatory design sessions with five professional musicians with extensive experience with music creation tools. All generated innovative uses of paper substrates, manipulating their data, linking multiple representation layers and creating modular, reusable paper elements. The substrates reflect the structure of their computer-based data, but in a much more flexible and adaptable form. We use their prototypes to provide concrete examples of substrates, identify their roles, properties and functions. 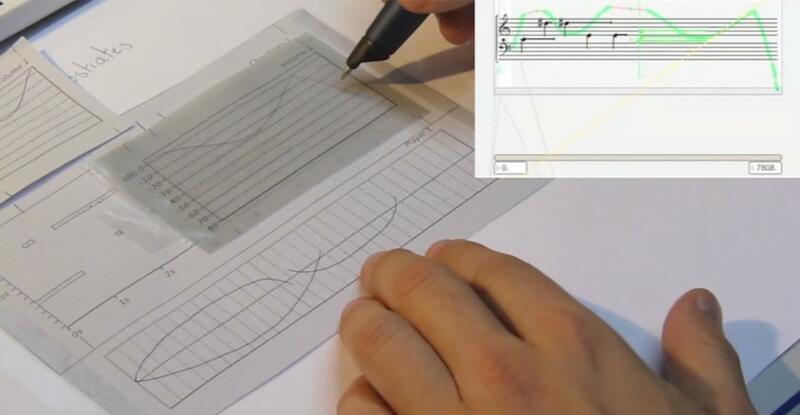 Finally, we explore their physical and interaction design with an interactive prototype.